We offer a large range of training courses, including Heating, Ventilation, Air Conditioning & Refrigeration, Utilities, Asbestos, Health and Safety, i.e. 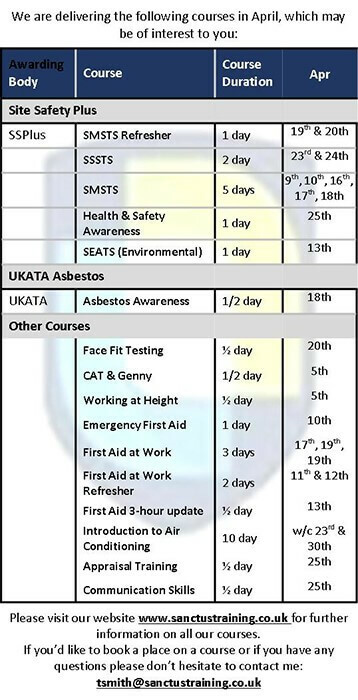 First Aid, Fire Safety, Site Safety Plus courses. We can offer open courses or we have run bespoke packages for your company. We also offer a range of professional development courses and packages.